Columbia Radiology is your source for diagnostic radiology interpretation services. Columbia Radiology, Ltd is a leading subspecialty radiology group. Advances in technology and the complexity of procedures performed has created a significant need for supspecialized radiologists. Columbia Radiology, Ltd includes six subspecialized radiologists: Oncological, Pediatric Nephrology, Cardiology and Body Imaging. 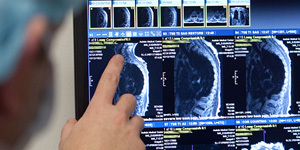 Read more about Columbia Radiology. Columbia Radiology, Ltd is experienced in providing customized coverage for hospitals and out-patient centers. We have internal staff to assist with program management, modality protocol development, client service representattion, transcription, billing and marketing. Read More about our services offered. 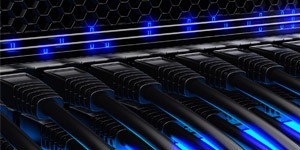 Our in-house IT staff will work with your department administration and technologists to both-customize and conform acquisition protocols to get the best image data from the modalities you currently have or that you invest in over time. 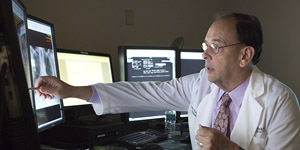 Using the latest technology available, Columbia Radiology, Ltd is connected. Read more about our technology. To learn more about our people, management, It services, nighthawk and teleradiology programs contact us today. Click here to contact Columbia Radiology LTD and a member of our team will contact you immediately or call: Deborah Crawford-Hartley CBDO: 573-289-3350.